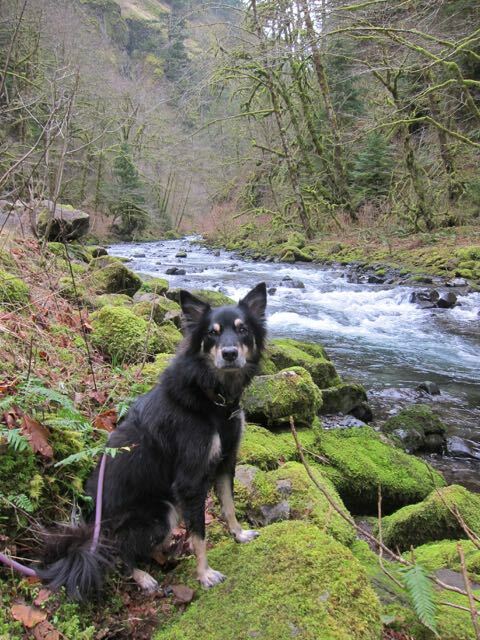 This entry was posted in Dogs and tagged Hiking, Mr. N, Sage, Wahclella Falls by Sage. Bookmark the permalink. Oh I cn’t wait to see all that fabulous places! What is wrong with you? Another clean fluffy fur photo! Are you feeling alright? Oh, Emma. What you couldn’t see told a different story. My back legs were quite muddy from wallowing in a mud puddle at 1000 acres (before we went to the hike spot) AND I had rolled in coyote skat. 😃 Mom says I’m not a very prissy girl…. That sure is a pretty place Sage!!! Can’t wait to see more…it looks beautiful there! Oh, the trail! How I love the trail! that is beautiful!! I love the moss on those rocks. Beautiful!